WILLEMSTAD - The Eagles, together with largest sponsor RBC Royal Bank, held a press conference this afternoon where they announced the popular running event ‘Wechi Run 2016’. This year the event takes place on Sunday, September 11th, and it is suitable for both walkers and runners. RBC has been the proud sponsor of the Wechi Run for four consecutive years. Last year more than 200 people participated in the running event of the year. As usual, this year participants will run through the streets of Wechi as well as the wonderful mondi in the immediate vicinity. For hikers a scenic route of 7 km long has been marked out, and runners can choose from different distances; from 250 meters to 7 kilometers. Participants can register during office hours at RBC (Jan Noorduynweg and Rooi Catootje) and Vista Bike Zeelandia. In addition, participants can register online at www.webscorer.com/register?raceid=76246 or on September 8th from 17:00 to 19:00 at Wechi. On September 9th registration closes. Children and young adults up to 19 years pay 5 guilders and adults 10 guilders to participate. Running event starts at 07.00. On the day of the event, each participant needs to register before this time. Registration is possible from 05:30 onwards. After registration, the participant receives a number. The organization will have sufficient water available along the route, and each participant will receive an energy drink at the finish. 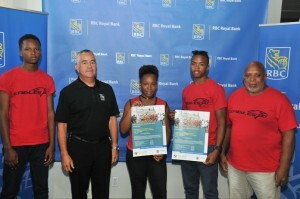 RBC and The Eagles invite everyone to participate in the popular Wechi Run. Athletes have the opportunity to explore the course on September 1st and 7th and train for the challenging event. All athletics clubs are invited to participate. Follow the Facebook page 'Eagles Runner' and stay informed of all the latest developments surrounding the RBC The Eagles Wechi Run 2016. For more information, please contact Sidney Valks on 5691759.